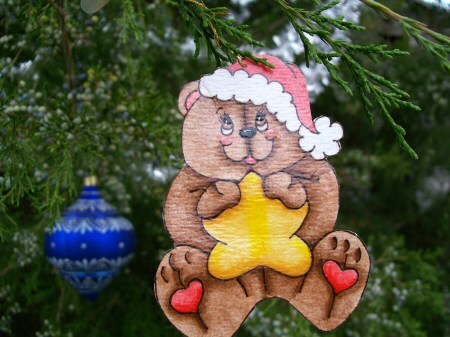 This cute little bear ornament is painted on watercolor paper and is very lightweight. He measures 2 1/2"x3 1/2" and has a very thin gold cord to hang him on your tree. I have given him several coats of spray varnish to protect him. He is in stock and ready to ship. Contact me with any questions before ordering.